Welcome to a magical place for the children and the children at heart. It's in Amish Country! You’ll love the Dutch theme the park has going on. There’s something for everyone when it comes to rides and attractions! Just measure your precious gems to determine what ride height category they fit into, then look for that gem symbol to easily distinguish which rides are for you! 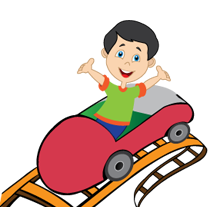 With attractions like Choo Choo Charlie, Frog Hopper, Dragon’s Lair, Duke’s Lagoon and so much more, Dutch Wonderland is a favorite amongst children of all ages! Having your birthday party, other celebrations, family outing, and Scouting events at Dutch Wonderland is easy with catered options, picnic lunch boxes, and cabana rentals. Click here for more Season Pass benefits.